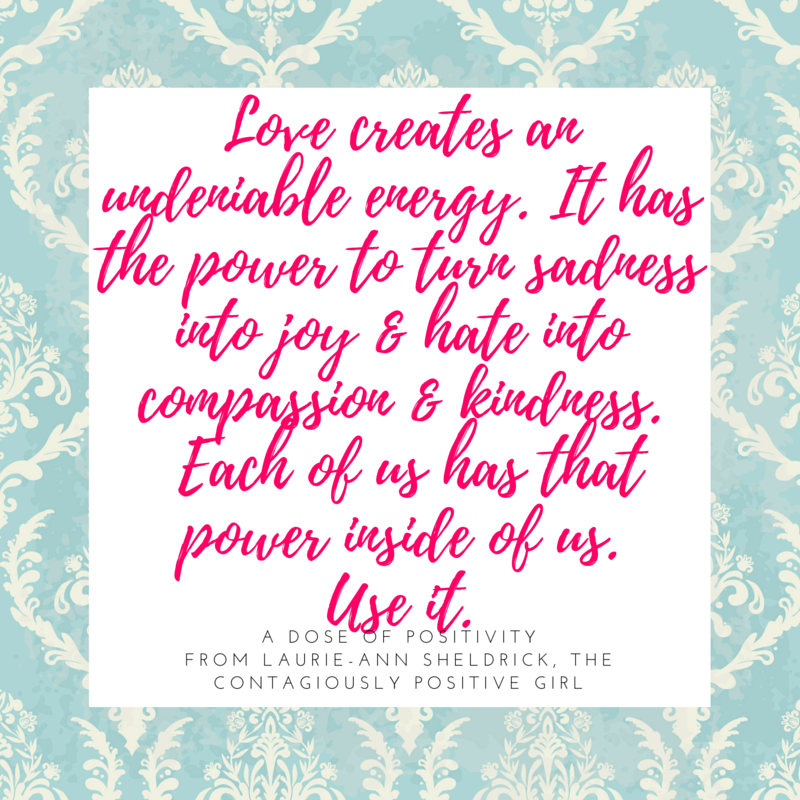 Love creates an undeniable energy. It has the power to turn sadness into joy & hate into compassion & kindness. Each of us has that power inside of us. Why are we holding it back? We hold it back from others. We hold it back from ourselves. For what purpose? Is it because we are afraid of being hurt? Without love, we are already hurting. Is it because we do not trust in its power? Love is our main source of power that heals us all. Is it because we are afraid of looking weak? There is no weakness in love. Love is pure inner strength. Love holds us up when we cannot stand. Love connects us. Love creates a powerful force field making hate impenetrable. Love makes you strong, courageous, and powerful. Why are we holding it back? Stop rationing it and start using it.